A pro-Christian politician is suggesting an official rating of various creative works, saying such a measure would help to protect the population from various harmful products, such as the popular TV series, Game of Thrones. Vitaliy Milonov of the St. Petersburg city legislature addressed the Russian Culture Ministry with an initiative to develop the “concept of defending the national information space,” the popular Russian daily Izvestia reported on Monday. The essence of Milonov’s draft is that the authorities issue a rating for all creative works, giving them “quality marks” if they match the nation’s traditional values, and attaching negative appraisals to potentially harmful products. The lawmaker holds that the general public will bear this rating in mind when making choices regarding entertainment. In comments with Izvestia, Milonov said that virtually all Western cultural products were destructive for Russian traditional values and this especially applied to many famous works. He added that such an approach prevented creative works from being listed as propaganda as the main influence was on the subconscious level. “Freedom of expression is just a flashy label that conceals the cancerogenic ideological additives,” Milonov said. 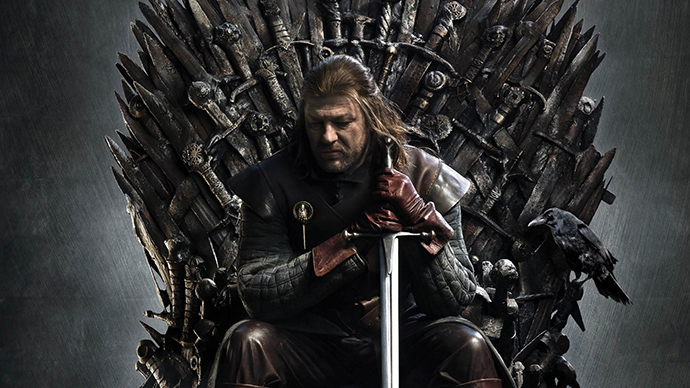 The lawmaker said that the cult US television series Game of Thrones was a typical example of such a harmful product. He blamed the authors for picturing “every tenth character” of the series as having some sexual deviation and suggested this was done on purpose, so that the public saw such deviations as the norm. At the same time, Milonov admitted to reporters that he had not seen a single episode. The cultural rating isn’t the first or the most eccentric suggestion drafted by Milonov over the past few years. He has in the past proposed outlawing child beauty pageants, organizing the forced resettlement of homeless people to rural areas, and introducing responsibility for fake accounts in social networks. Milonov’s most known work is the St. Petersburg regional law that bans promoting homosexuality to minors – a motion that has been passed on a nationwide level, despite widespread criticism in Russia and abroad. Milonov’s relentless campaigning has attracted a lot of public and media attention, but it also had some negative consequences for the lawmaker. In November last year, Upper House MP Konstantin Dobrynin asked law enforcers to probe Milonov over public calls for terrorism, saying the St. Petersburg politician has repeatedly and insistently made statements banned under the Federal Law against Extremism. However, this request was turned down by prosecutors.